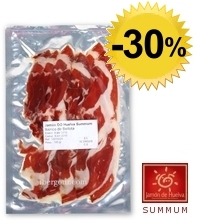 30% DISCOUNT on sliced Bellota Ham. Up to 40% on other products - Only till Friday! 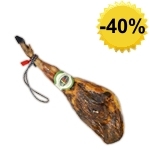 Sliced ham is ideal for summer. It takes up very little space and you can prepare a snack or supper in a few minutes. 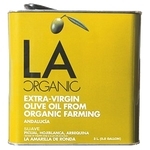 Put a few drops of olive oil on a slice of bread and cover with a ham slice. As easy as it is delicious.